I decided to go thrift shopping at Goodwill after work, and it was a great time until I suddenly felt like I was starving. Since Goodwill isn't known for their food, I had to go somewhere else. 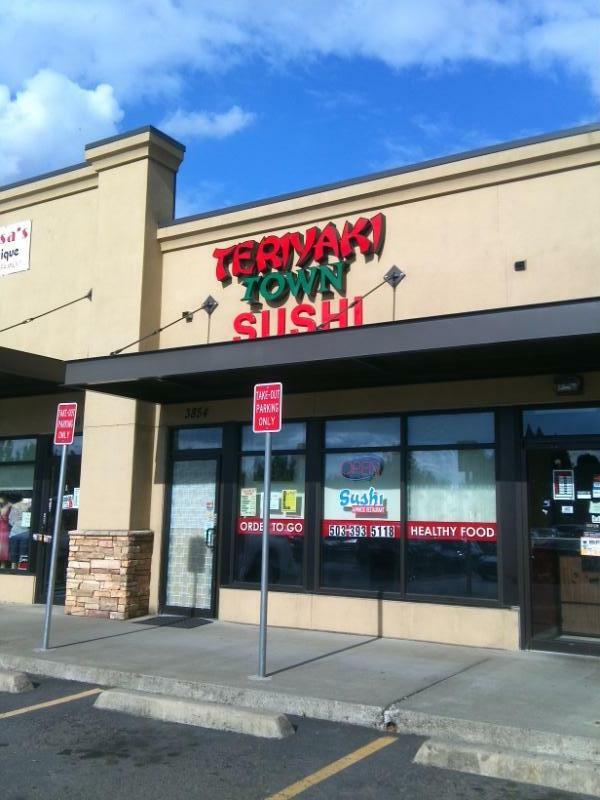 Luckily, I spotted Sushi & Teriyaki Town a few doors down. It doesn't look like much on the outside, but it is comfortable and "cute" inside. I ordered the Boston Roll, it had salmon, avocado, and cucumber. It was delicious and there was a generous portion of fish. I like going places that are family owned, they seem to care more about their customers and the quality of their food. I noticed that the prices are very reasonable for sushi, and they have a soft shell crab tempura that I want to try. It is a deep fried soft shell crab and some tempura veggies, all for under $7! I also like that they have vegetarian options like ginger tofu. They also offer sake, wine, and beer. While I was eating there, I noticed that they do a lot of to go orders as well. I am pretty excited about finding this place, and will definitely be back. This place rocks! "THE" best sushi in all of Salem-Keizer IMHO. Try the Hawaiian Roll that has Tuna, mango, cucumber, and avacado. Mango works so well in sushi yet this is the only place that I have found that use mango as a sushi ingredient. My wife and I are big fans of this place. 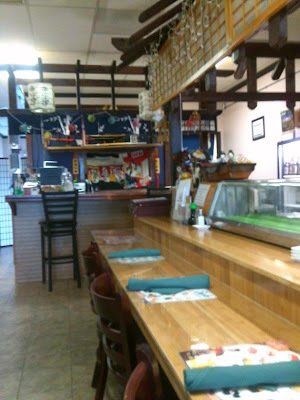 The owner is very friendly and the sushi is always prepared very well. If you haven't eaten there before, I recommend giving it a try. SWMBO and I have been here twice. The place was spotless. We thought the food was good. Both times our server was efficient but distant and aloof to the point of stand-offishness. Although the food was very fresh and tasty, the family and I were very disappointed in our visit. 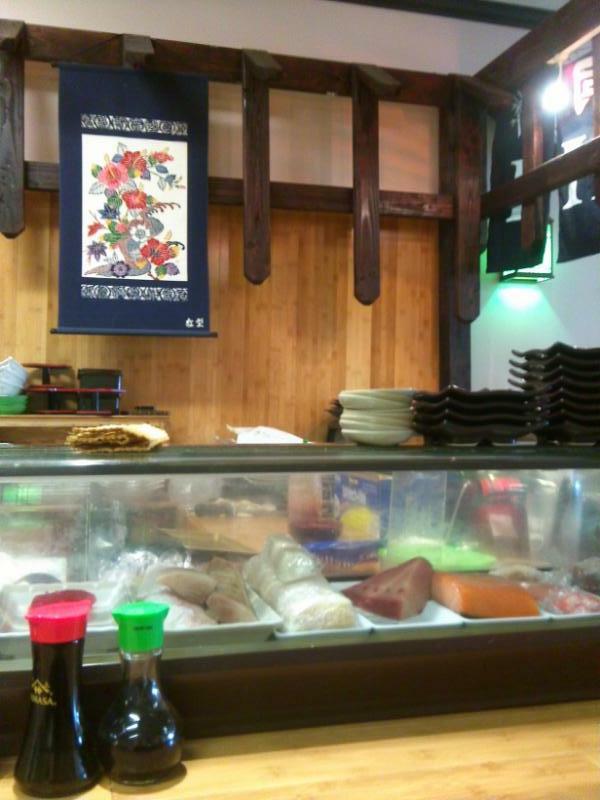 We went to Sushi and Teriyaki town in the hopes of filling our bellies full of suahi and satisfying our sushi cravings. We ordered the Super Sushi deluxe boat and although it contained 10 pieces of assorted Nigiri sushi and an 8 piece California roll, it was comparable to at least a 24 piece Sushi meal from Momiji. The sushi was so small that we had finished both the Sushi boat PLUS a 6 piece tuna roll and a 6 piece Oregon roll equaling 30 total pieces of sushi which would normally fill up my family of 4 but in this case did not. Also disappointing was the service, although the servers seemed friendly, we only received 2 sets of chopsticks, absolutely no plates to divvy up the pieces and only one cup of tea for each of us instead of leaving a whole pot on the table. The Super Sushi Deluxe also came with only ONE bowl of Miso soup and ONE salad which was simply an American salad most likely taken from a bag of pre-made salad like you would buy in the store, not the usual Japanese cucumber/vinegar salad served at other sushi bars. To top off the meal, we were not even offered any fortune cookies which technically are more prominent at Chinese restaurants but also served at most sushi places. We ended up spending about 30 dollars and still had to stop by McDonald's on the way home so that we could all get rid of our hunger pangs. Bottom Line is: Good Food but lack thereof for the price as each sushi piece was the size of a mini reese's peanut butter cup...well maybe not THAT small but pretty close. 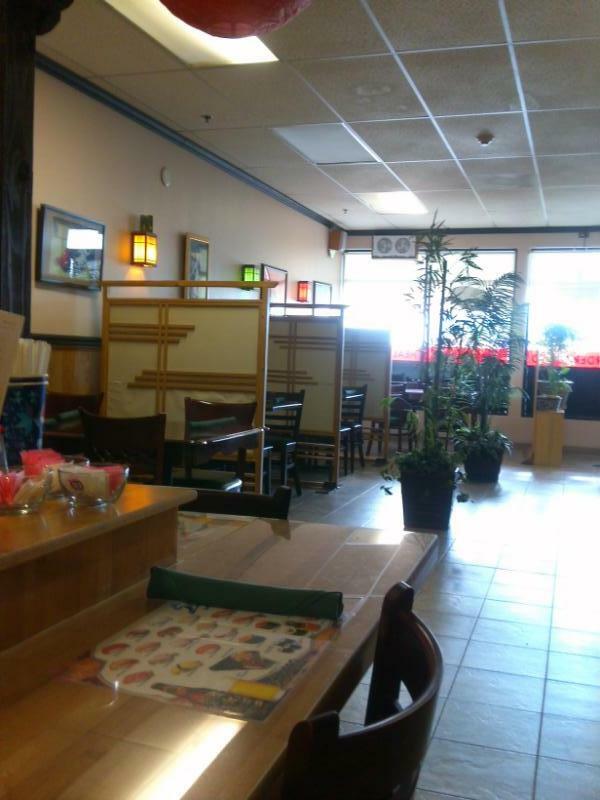 We most likely will stick with Momiji or try Sushi Kyo in the future. Every time I come here the portions get smaller and smaller and smaller. The people that own it are really nice, but I can't say that I'll go back. Sad times. 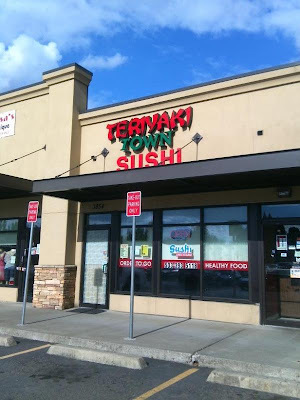 We went to Teriyaki Town and Sushi again last night. My son and I love to sit at the counter so we can watch and visit with the kind, friendly owner. The place is always spotless and everything is very fresh. My son is an adventurous sushi eater, but likes the Rainbow Roll and Double Shrimp Roll best. Being a bottom-less pit teenage boy he normally can eat nearly 3 items. Raw fish and I don't enjoy each other, but I never miss a chance to have the Double Shrimp Roll with the perfect combo of shrimp, prawns, avocado and sauce with just the right amount of tang. One roll is perfect for my dinner. The owner's wife acts as hostess, server and cashier. She is more reserved, but very helpful and kind. We really enjoy this place and know you will too.